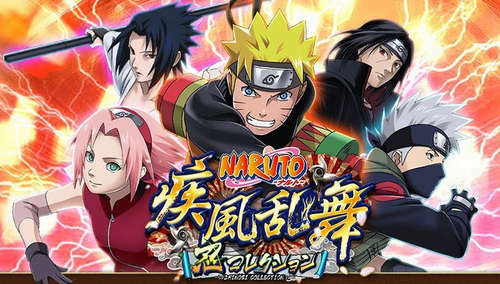 Naruto Shinobi Collection Shippuranbu (ナルト- 忍コレクション 疾風乱舞) is an endless runner game for Android by GREE Mobile. The gameplay is fast paced and action-packed, perfect for Naruto tv series fans. Choose your favorite character and use our Naruto Shinobi Collection hack to deal deadly Ninja Combos' attacks against your enemies. The story is great and even greater if you could understand the language, but that doesn't matter since we're here for the fighting anyways! Even though the language is Japanese, the gameplay is easy. For more information on how to play and English tutorials visit the Naruto Shinobi Collection Wikia.com page.